South Africa - Few places in the world offer such unrivalled splendor and diversity; from coastal magnificence, lakes, forests and mountains, to vast open plains teeming with wildlife. 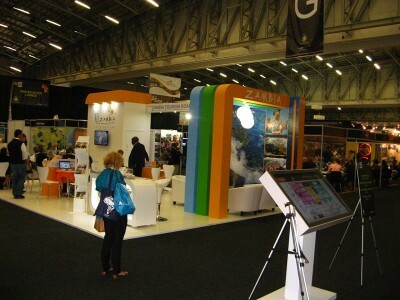 South Africa is also rich in Culture, History, Art and Heritage. 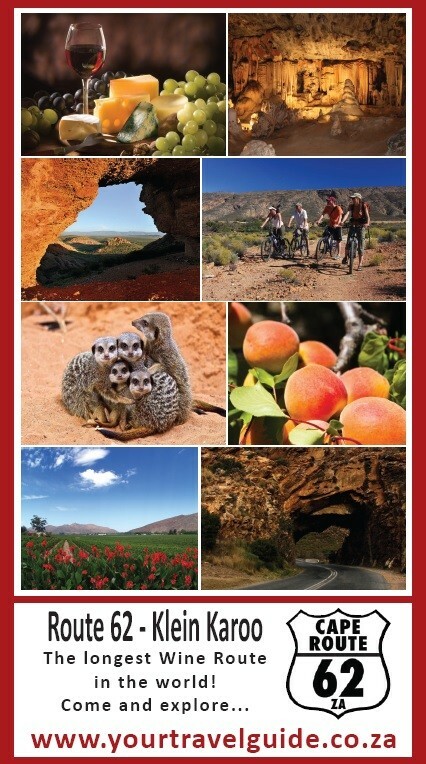 Thank you for making us part of your Traveling experience by making use of our South African travel guide. 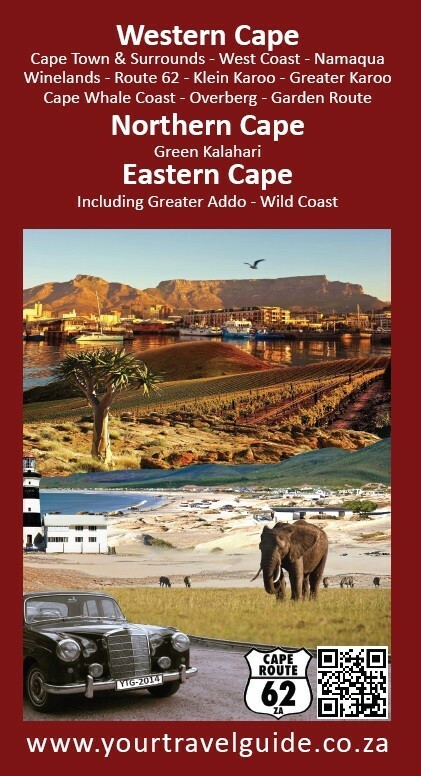 Our accommodation guide follows a route from west to east, focusing on Cape Town and surrounds, the Cape West Coast, Cape Winelands, Route 62, Klein Karoo, Greater Karoo, Overberg, Garden Route, Eastern Cape and the Wild Coast. We will expand our listings with more travel options to other provinces. Villa Chante offers 8 fully equipped self-catering units in the Nature Conservancy of Dana Bay. 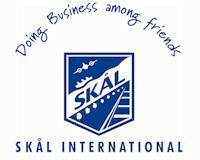 Affordable, comfortable & charming accommodation in a relaxed environment with tranquil surroundings. A Stone's Throw accommodation is nestled on the hilltops above Grahamstown. Offering country living "A Stone's Throw" from the University town of Grahamstown, where you can enjoy panoramic vistas and witness gorgeous sunsets from a spacious garden setting which is surrounded by open countryside. A Stone's Throw is situated as an ideal stopover between the Garden Route and KwaZulu Natal, just 2km's off the N2, outside Grahamstown, home to the National Arts Festival and City of Saints and Scholars, a seven minute drive into the city centre of Makana Grahamstown. The beaches of Kenton-on-Sea, Kasouga, and Port Alfred are nearby and the Great Fish River Reserves, Addo Elephant Park and Port Elizabeth are just over one hour away. Personalised service from friendly staff make this owner-run guesthouse a delight. Beautifully styled, luxurious, en-suite bedrooms ensure a comfortable stay. "Back to Nature"! Along the Sunday's River; 20 minutes drive from the Addo Elephant National Park. Welcome to a working citrus farm. We have 6 equipped chalets, 2 Wood Cottages, 4 Ethnic Mud Huts and en-suite accommodation. Meals arranged in advance. Safaris arranged. Fishing, swimming & canoeing. Children Welcome! Tenahead Mountain Lodge & Spa, the spectacular 5 star lodge, is surrounded by the breath-taking Drakensburg, Witteberg and Maluti Mountains. The lavish lodge has been stylishly furnished to complement the lodge’s natural appearance. The spacious living areas of the lodge explicate classic and calm interiors that are elegantly decorated. The grand seven luxurious en-suite bedrooms have been stylishly furnished to complement the lodge’s rustic natural appearance. Tenahead is a magnificent treasure that offers a truly unique experience as if you were on top of the world. Umlilo Lodge is a 4 star (TGCSA Star rating ****) guest house situated in the small village of St Lucia, the only private village in the world to be completely surrounded by a World Heritage Site. We offer an rustic lodge with luxurious facilities. Eagle's Nest B&B in Grahamstown has three reasonably priced self-contained garden flats each with their own private entrance and is ideally situated near schools, city centre and in walking distance to shops, museums, Rhodes University and restaurants. The shores of the magical Langebaan Lagoon are the gateway to the vitality and hospitality of the Greek way of life, right in South Africa. Join us for endless fun in the sun as you lounge on the deck of a luxury yacht, dance with Lady Luck in the casino or simply wile away the hours doing as little as possible in the comfort of your luxurious self-catering accommodation. The dedicated and trained Club Onos staff, as well as Chester the friendly donkey, will pull out all the stops to make your children's visit as fun-filled as you could imagine. Day trips, sports facilities, fishing trips and water sports activities are all at your fingertips. Our Health & Leisure Centre will make sure you are pampered beyond your dreams, while the delicious restaurants and bars will keep you wined and dined well into the night. Join us for an experience in true Mediterranean hospitality that you will want to repeat again and again! "A friendly welcome, a relaxed home-from-home stay on a grape farm in the mountainous Brandwacht Valley behind Worcester. Choose from 8 fully equipped charmingly decorated units sleeping 1 - 6 people with private entrances and off street parking." Charming country style lodges nestled at the foothills of the Hottentot Holland Mountains overlooking the ocean. Relax in comfortable African styled rooms. Take in nature`s tranquility alongside the pool or explore the Cape Winelands on private Tours. 35 min. to Cape Town, 25 min. to the Airport and 8 min. to the Beach. Look out for our latest edition of the Your Travel Guide booklet. Available from participating distribution points.